Confidence develops a positive impression while anxiety creates a negative one. When we speak, we are communicating in three ways - verbally, visually, and vocally. 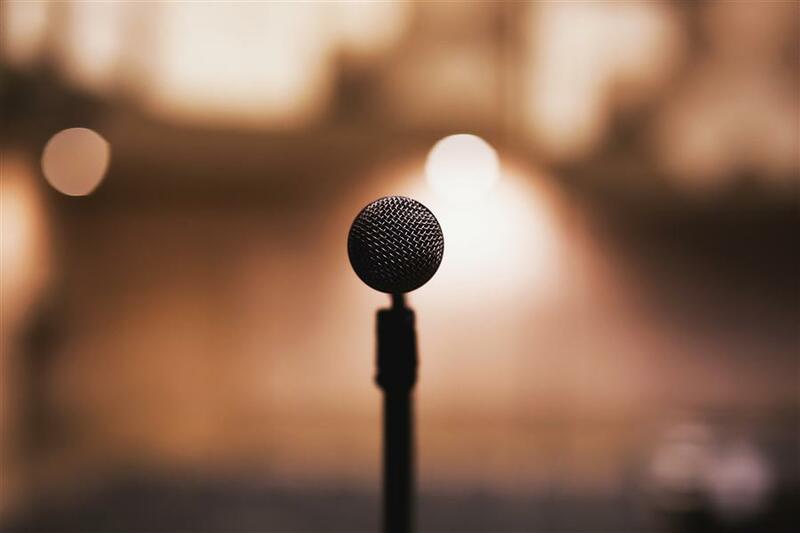 Our verbal delivery may be clear and well organised; but when we are anxious, the audience will likely notice more our negative vocal and visual signs (for example, lack of eye contact, poor posture, hesitant delivery, and strained vocal quality). Yet, when we are confident and our verbal, visual, and vocal signals are in unity, we look more credible. If we want people to believe us when we speak, if we want to improve the impressions we make, we need to boost our confidence. The following techniques will help you to manage speech anxiety and ensure you give more confident and professional deliveries. Call it speech anxiety, stage fright, or communication apprehension; you have to understand it for numerous reasons. First, speech anxiety can incapacitate you. Second, misconceptions about it can strengthen your anxiety. Finally, knowing the strategies for managing speech anxiety can help lessen your apprehension. No one would agree that experiencing speech anxiety is enjoyable. However, when we better recognise why our bodies respond as they do, we become more prepared to face our anxieties. Let us examine some misconceptions and how to counter them. Everyone will know if a speaker has speech anxiety. Few, if any, will notice. So keep the secret to yourself and start acting confident. Speech anxiety will intensify as the speech progresses. It's all up to you. Mostly, a well-prepared speaker will relax as the speech progresses. Speech anxiety will ruin the effect of the speech. If you let it, it will. On the contrary, speech anxiety may improve a speaker's effectiveness. The audience is inherently hostile and will be overly critical of what we do. Most listeners are polite especially when the speaker is obviously trying to do well. 1. Be Well-Prepared and Practice Your Speech. To prepare adequately, first, try to understand who the audience is and what will they want to hear. Finance will want to see the 'nuts and bolts' of how the deal stacks up financially; Quality/Manufacturing want to see how it improves the efficiency and quality of manufacture; HR wants to see how your product/service improves the team culture, MDs want to know how it will help them achieve their long term strategy, etc. Next, prepare easy-to-follow notes. Using these notes, practice your speech three or more times from start to end - speaking out louder each time. Mentally thinking through your presentation is not the same thing as actually speaking in front of the audience. For instance, if you will be standing during your speech, stand while practising. If you will be using visual aids, practice using them. As you practice, time yourself to check if you have to shorten or lengthen the pitch. Lastly, invite and expect questions and prepare answers for what you feel are going to be the common ones. Knowing that you are well prepared will help lessen much of your apprehension. Speakers are no different from singers who warm up their voices, musicians who warm up their fingers or athletes who warm up their muscles before a performance. Before giving a speech, you'll need to warm up your voice and loosen your muscles. Sing up and down a scale, the way singers do before a concert. Put on a rock anthem and sing your heart out! Read aloud a note or a page from a book or poetry, changing your volume, pitch, rate, and quality. Do some stretching exercises such as touching your toes and rolling your head from side to side. Just like musicians and athletes, these warm-up exercises will help you relax and will make sure that you are prepared to present at your very best. One fast way to calm your anxiety is through deep breathing. This involves taking in deep breaths through your nose, holding it while you count to three, and then slowly exhaling through your mouth to count to five. Try to breathe from your stomach rather than your chest. As you exhale, think that the pressure and nervousness are slowly draining down your arms and out your fingertips, and down your body and legs and out through your toes. Repeat the procedure a number of times as necessary.